The occasion was the calling together of the representatives of thirty-two countries at an international conference held in the posh French resort town of Evian-les-Bains, on Lake Geneva, July 6-15, 1938. The main instigator of the conference was President Franklin D. Roosevelt, though he himself did not attend and acted as a sort of absentee political overlord. The world press gave the Evian conference an immense send-off, and encouraged people everywhere to entertain various hallucinations about what was going to take place. The immediate stimulus was the Anschluss of Germany and Austria (March 12-14, 1938) followed by a plebiscite on April 10 in which 99.75% of Austrians voted in favor of the union. When Austria was incorporated into the Third Reich as a new state, many of the policies which prevailed in the latter became promptly operative in the former. Among these were the enforcement of anti-Jewish laws and the wipe-up of various kinds of Marxists, regardless of whatever communist, socialist, democratic or liberal camouflage they happened to be using at the time. 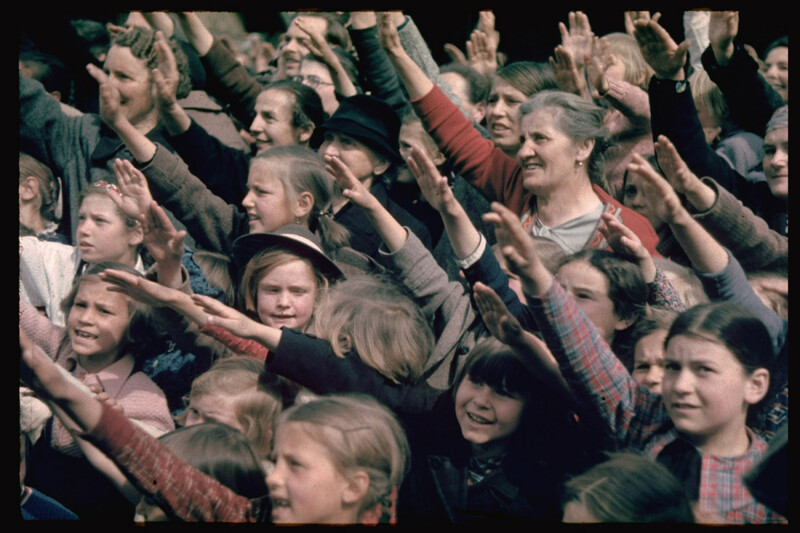 The Anschluss, 1938: The Austrian people overwhelmingly chose union with Germany. As the conference got underway, the press emphasized the general feeling that it was mainly concerned with the fate of German Jews. But according to the Jewish Joint Distribution Committee report (July 1938) about 130,000 of Germany’s 1933 Jewish population of 500,000 had already departed the Reich, leaving behind some 370,000 who were described as mostly middle-aged or elderly. These post-exodus Jews were less than 1 % of Germany’s total population. Many of them were not of German origin, but from Eastern Europe. In Austria’s case its 200,000 Jews represented 3% of that country’s population. As the Evian conference soon discovered, the Jewish question transcended the expanded frontiers of Hitler’s Germany. The conferees were not permitted to forget the problem of the Polish Jews, who constituted 3,000,000 of Poland’s 34,000,000 people, and of the Jews of Hungary and Rumania. It was also learned in the course of the discussions, which were masterpieces of foot-dragging and evasive bafflegab, that the Jews actually numbered less than half of the refugees. The majority were non-Jewish political undesirables from all over the European map, largely Marxists of many exportable flavors and colors. 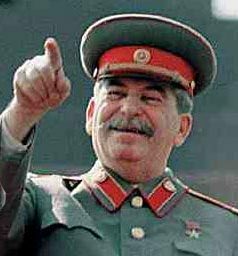 Only Stalin had no problem with his “unwanted” and took no part in the Evian proceedings. The show trials in Russia were reaching their peak at the time and the Stalinist machine was cheerfully shooting and bundling off millions to the slave labor camps, a gargantuan purge that was evident to nearly everyone except the West’s liberal intelligentsia. It was Walter Duranty, the Moscow correspondent of the New York Times and certainly no adversary of Soviet Russia, who wrote (Oct. 10, 1938) that Stalin, as of that moment, had shot or otherwise killed far more Jews than Hitler, though they had obviously not been identified as such, but as “wreckers,” “saboteurs,” “counterrevolutionaries,” “enemies of the state,” and other standard Bolshevik pejoratives. All in all, Roosevelt’s grandstand stunt at Evian was a vainglorious fizzle which staggered to its conclusion on July 15, 1938, with null results. Representing F.D.R. 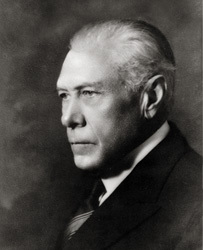 was Myron Taylor, better known as the U.S. ambassador to the Vatican. 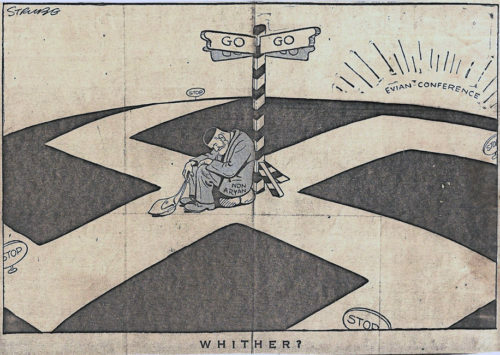 The British representative was Lord Winterton, who rambled on vaguely about a plan to resettle refugees in “certain African territories,” then part of Britain’s colonial empire. But no country’s spokesman offered to take more than a token handful. Zionist functionaries took a leading part in the scuttling of the Evian conference. The last thing they were interested in was the dispersal of Jews to any other part of the world than Palestine. A big change had taken place in the previous ten years. 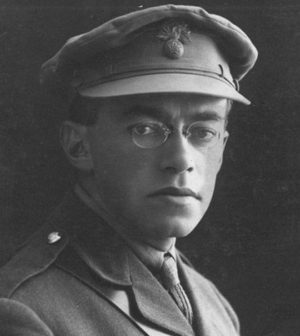 The idea of a joint Arab-Jewish Palestine had been scrapped by Zionist “revisionists” led by Vladimir Jabotinsky, * known to some as the “Jewish Hitler,” who vigorously advocated an underground war against both the British, who were ruling Palestine under a League of Nations “mandate,” and the native Arabs. While the Irgun fought the British Army and the Arabs in Palestine, it engaged in no such tactics in Europe, least of all in Germany. Irgun had established offices in Germany, Poland, Rumania and Hungary some time before 1938 and had the active support of the governments of these countries to help them smuggle out Jews, specifically destined for the Holy land. These regimes supplied papers and emigration facilities, and National Socialist Germany even allowed the Irgunists to overlook the rigid restrictions on currency importation so they could pay for the train and boat fare of the Jews they had selected. A onetime contributing editor to Time, Allen Michie, described this in detail in the New Republic (Aug. 9, 1939). It is obvious that Irgun did not want all Jews. Most Jews still remaining in Germany in the summer of 1938 were not considered proper blood transfusions for the illegal Zionist occupation taking place in Palestine. 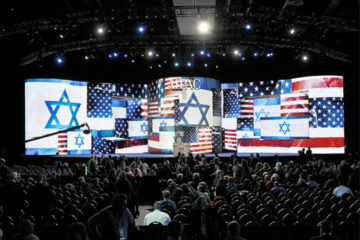 Consequently, no Zionist favored the bumbling solutions proposed at the Evian conference. A crack in the wall of silence surrounding pre-World War II Zionist immigration policies appeared recently when the branch of Orthodox Jewry known as Neturei Karta, which is very hostile to Zionism, revealed in the publication Palestine and Israel (Feb. 1977) than when the Germans offered to allow emigration of Jews to other countries at $250 a head, the Jewish Agency delegation at Evian, led by Golda Meirson (as the grande dame of Israel was known in those days), ignored the entire proposition. German officials were also reported to have made another interesting offer on July 8, 1938, to wit, Austrian Jews could emigrate to any country that would accept them and take with them 20% of their goods and possessions. This proposal also ran into a blank wall. It was quite evident to the conferees after a few days that they might as well pack up and go home because of obdurate Zionist opposition to any scheme to send Europe’s undesirable Jews anywhere except Palestine — the one place the British did not want them. An especially bloody phase of the vicious war that had been going on for some time between Arabs and Jews (with the British Army in the middle) took place during the Evian meetings and the news was given more space in American papers than efforts to solve the refugee question. It did not bother Zionist activists that Jews were in distress in Europe. It was openly admitted by Haganah officials that persecution of Jews was a good thing for Zionist objectives. Not only did it encourage emigration of Jews to Palestine, it was a propaganda windfall that allowed the media to flood the world with alligator tears and build up world opinion to accept any measure Zionist strategists might decide to adopt. All during World War II the Zionist leadership stressed the priority of filling Palestine with vigorous and fanatic young Jews instead of rescuing Jewry from the Nazis. It may be assumed that the wartime reduction of the Jewish population in Europe was looked upon as a Darwinian godsend, which eliminated the sick, the unfit and the aged, while leaving healthy and youthful Jews for the Zionist colonial experiment. And while this was going on, the Zionists were blaming Jewish deaths and casualties on non-Jews in atrocity stories that dominated the front pages of Western newspapers. The Evian conference is an important place to start a careful examination of the whole Jewish refugee affair, and the internal conflicts among various Jewish groups as to the correct line to follow. It is evident that we have no adequate exposition of the hostility between Zionist and anti- or non-Zionist Jews concerning the problem. Research into the machinations that came to a head at Evian might reveal the circumstances which led to capture of the initiative by the leftist Zionists and the eventual invention of the six million myth, which became the basic device used to cover over the entire subject and create the illusion of a unified stand that really did not and still does not exist.